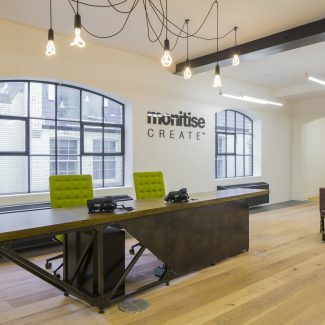 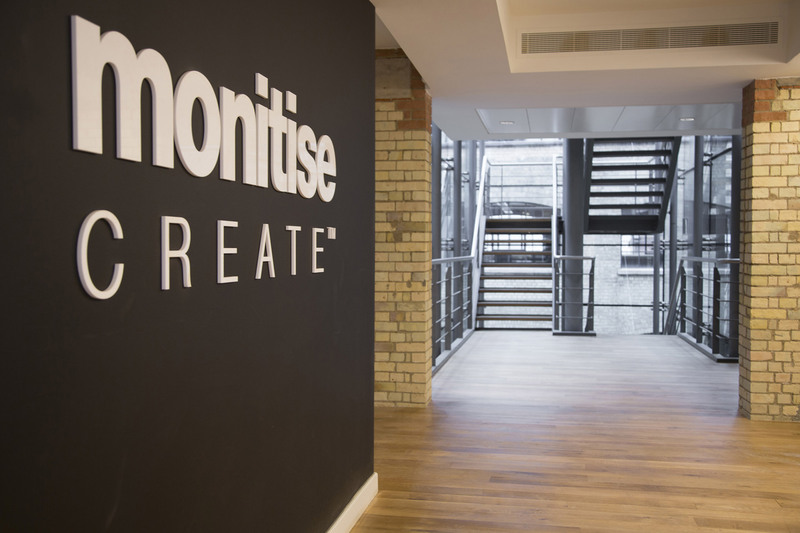 Monitise Create are a London and San Francisco based design and engineering innovation studio. 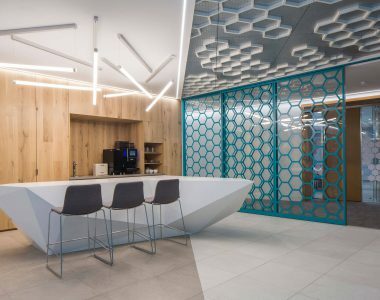 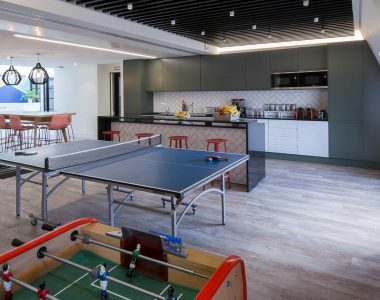 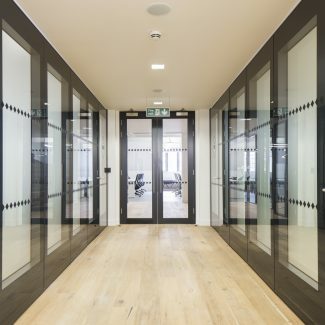 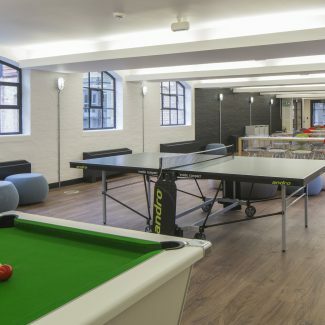 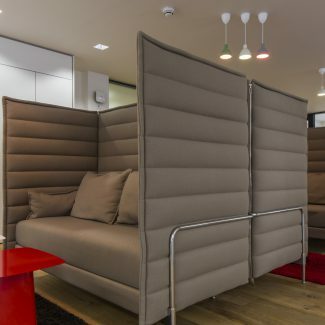 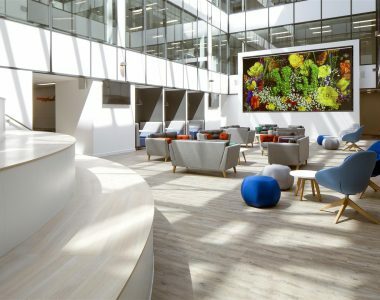 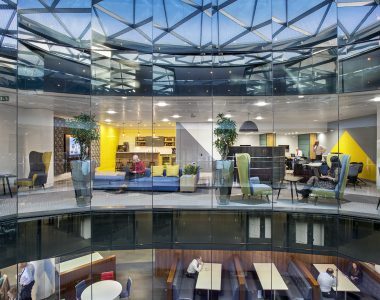 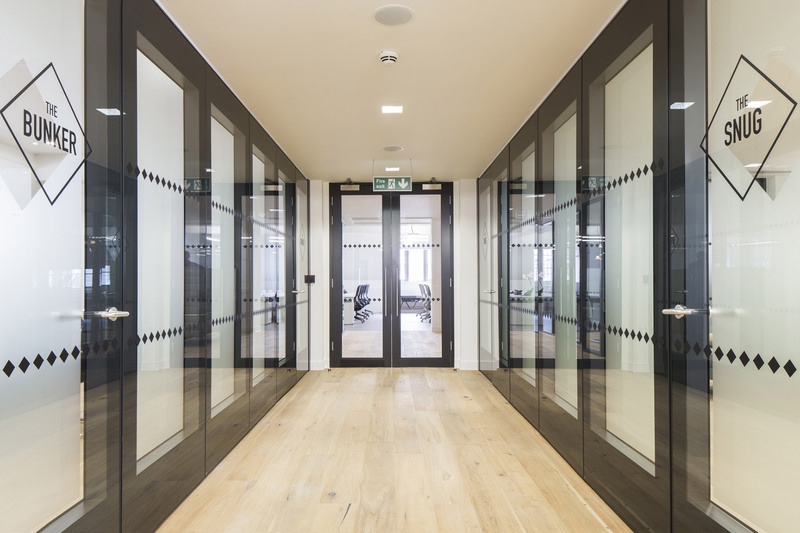 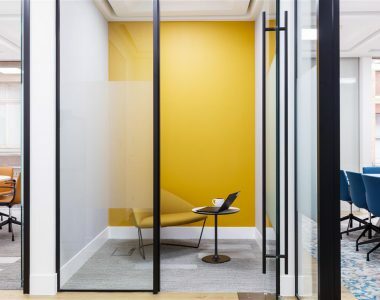 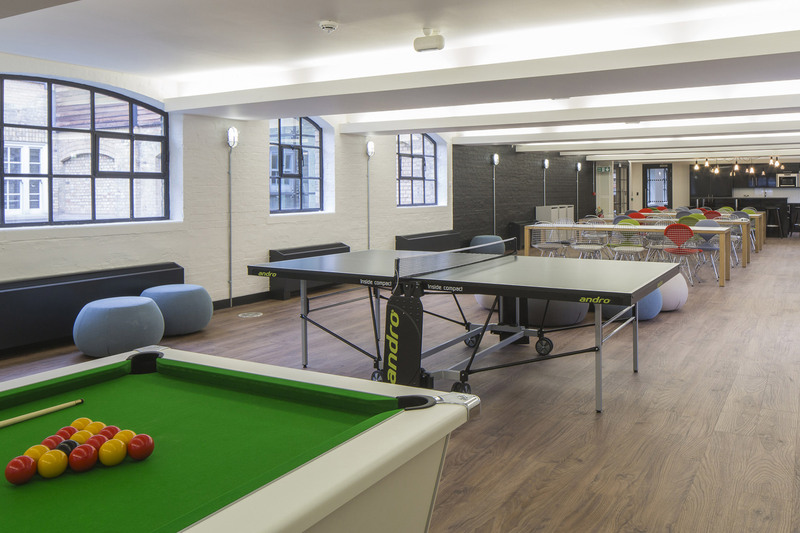 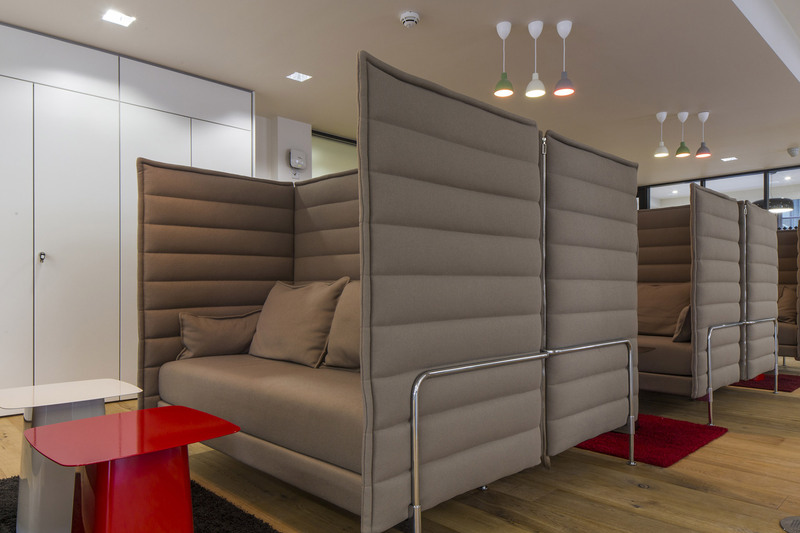 They appointed us to deliver at Cat A and Cat B fit out of their creative branch in Medius House in Soho, after we had fitted out the rest of the building to Cat A standard. 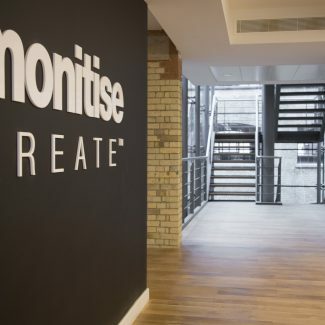 We worked with Monitise Create and their professional team to deliver 15,000 sq ft in an extremely tight programme of 12 weeks. 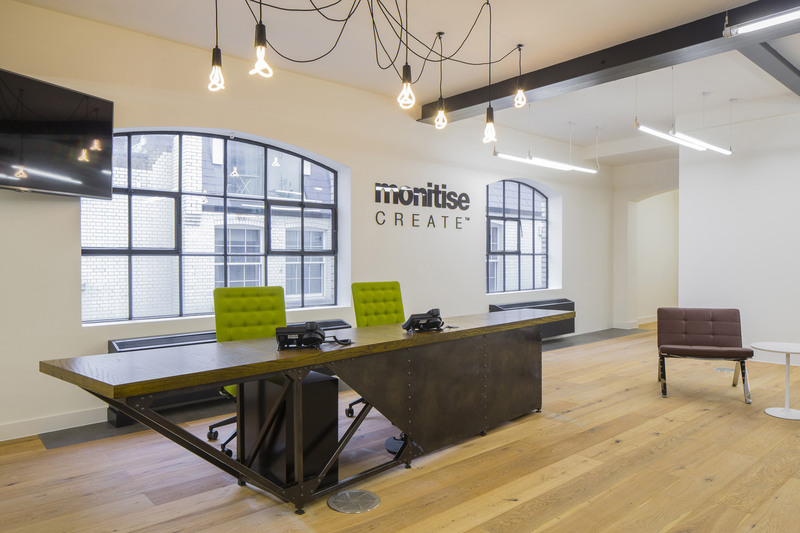 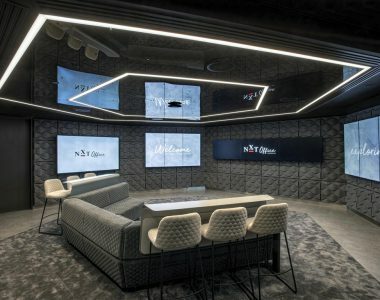 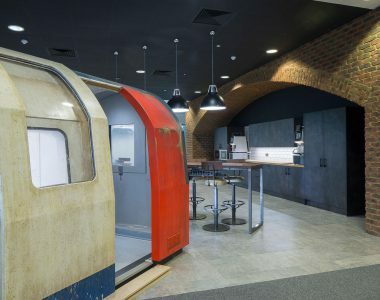 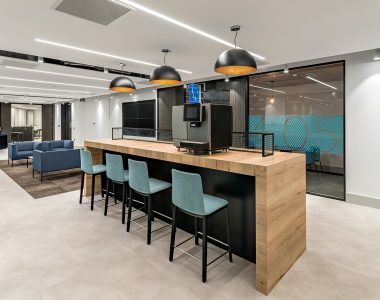 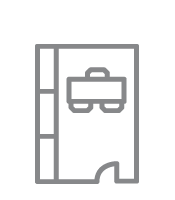 Our fit out provided Monitise Create with extensive open plan areas supported by a variety of informal meeting rooms, a large break out space with a games area, and a café with lounge style seating in addition to a boardroom, reception and comms room. 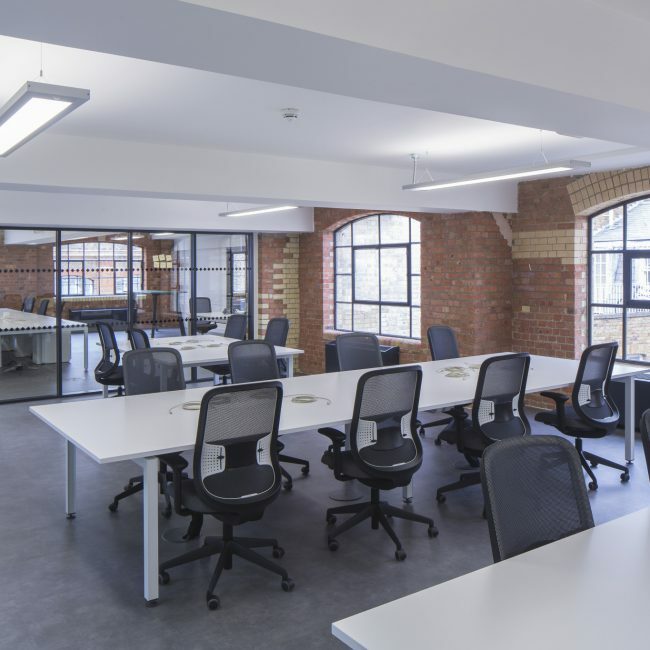 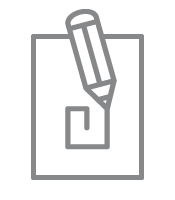 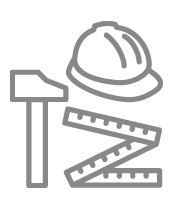 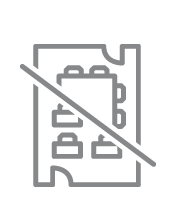 Since Medius House is an occupied building, we needed to conduct the construction as an “invisible contractor”; we worked closely with the building manager in order to minimise disruption. 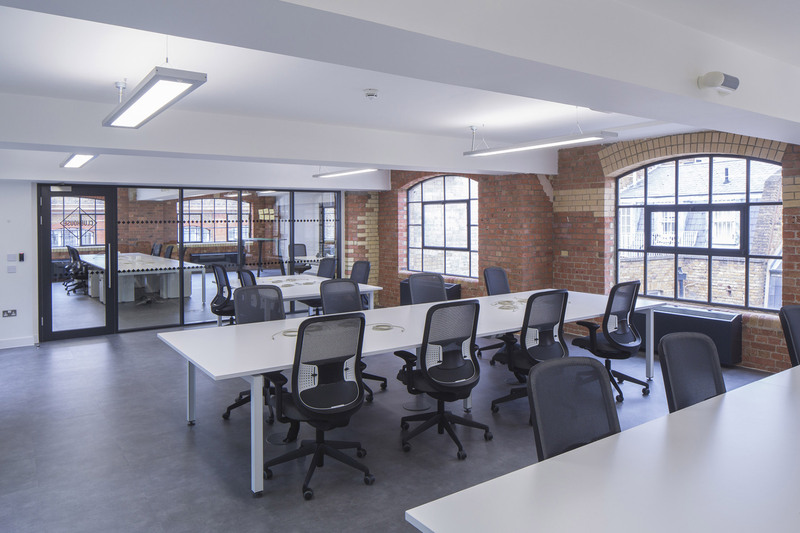 The final space is a spacious loft-style office, ideal for the world’s largest mobile innovation and design studio.